Children will love this series of foam jigsaw books. Featuring bright, photographic artwork, each book contains three foam jigsaw puzzles in the pages. The books in this series are a great interactive and educational resource for very young children. 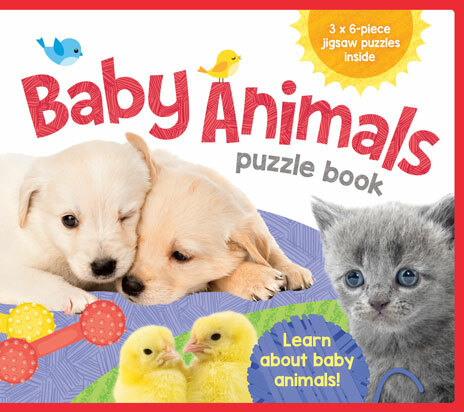 Children will love learning about baby animals and piecing together the 6-piece jigsaw puzzles inside. 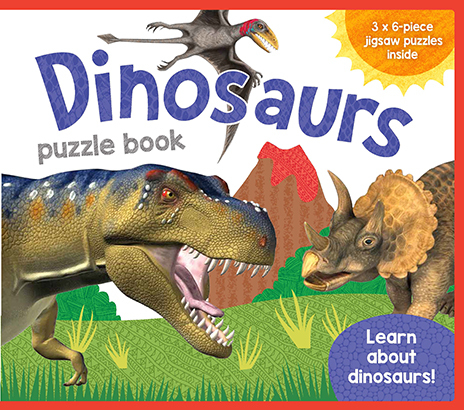 Children will love learning about dinosaurs and piecing together the 6-piece jigsaw puzzles inside. 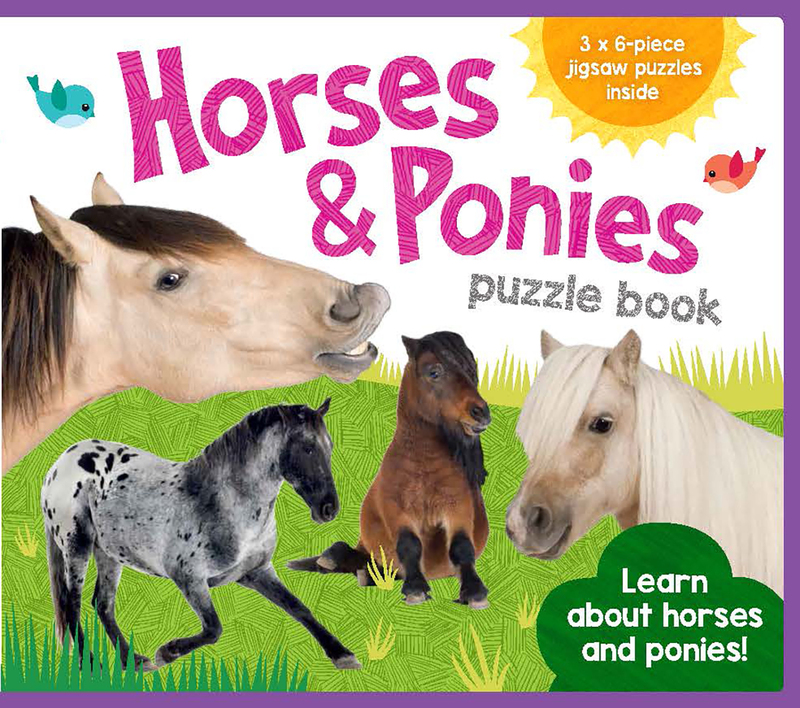 Children will love learning about horses and ponies and piecing together the 6-piece jigsaw puzzles inside. 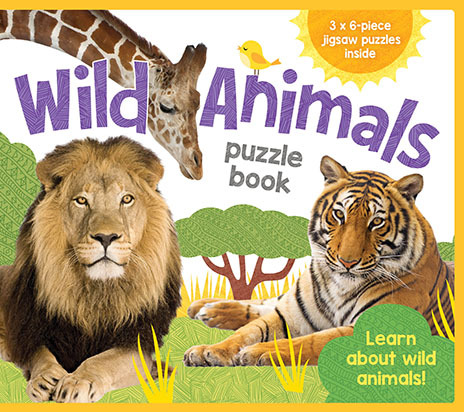 Children will love learning about wild animals and piecing together the 6-piece jigsaw puzzles inside. 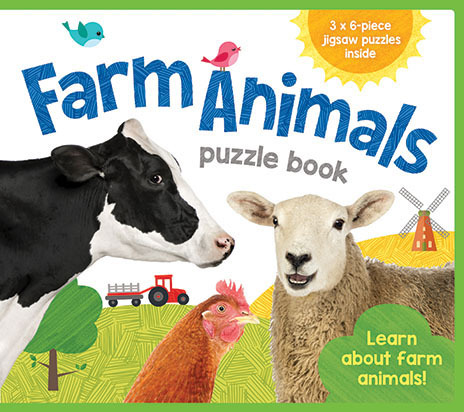 Children will love learning about farm animals and piecing together the 6-piece jigsaw puzzles inside. 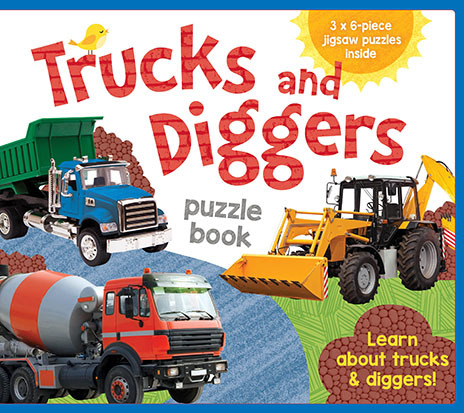 Children will love learning about trucks and diggers and piecing together the 6-piece jigsaw puzzles inside.